We have the MeetUp LA date and we are definitely getting Killian Hennessy as our special guest. 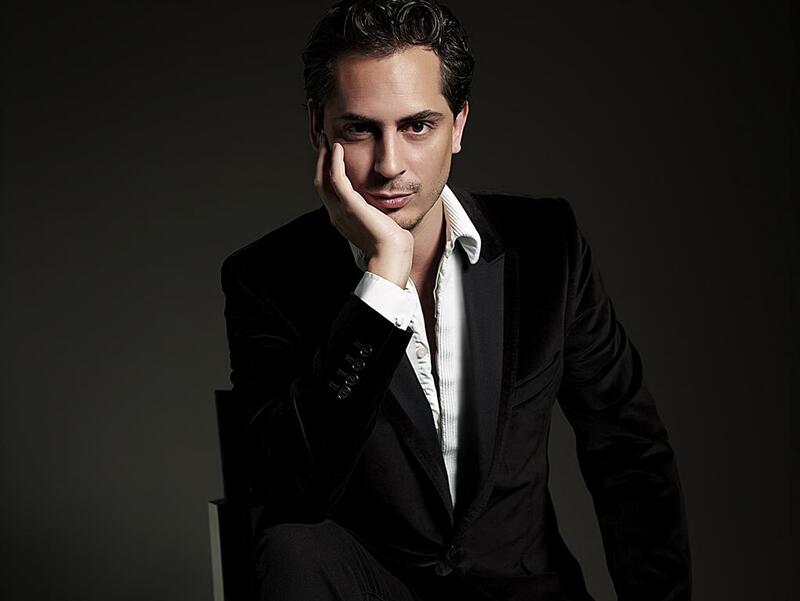 He will be signing bottles, chatting amiably and explaining some of his fragrances. As a special one time only deal ScentBar are going to have two exclusive scents available to purchase: Vodka on the Rocks and Apple Brandy. Steven Gontarski and co-owner of Scent Bar/LuckyScent Franco Wright have locked in MeetUp LA for Wednesday 19 November 5-7pm. The Scent Bar crew will be putting on some champagne and snacks and of course their usual good humour for our MeetUp. If I know the guys, and I do, there will be plenty of amazing and informative discourse too. Tom Pease from Perfume Posse will be in the crew on the day, he is such good fun and has an excellent nose so it will be grand to hang with him too. So if you love fragrance but don’t really know anything (like me) it’s a great way to expand your knowledge, or if you know HEAPS drop in and help educate us. 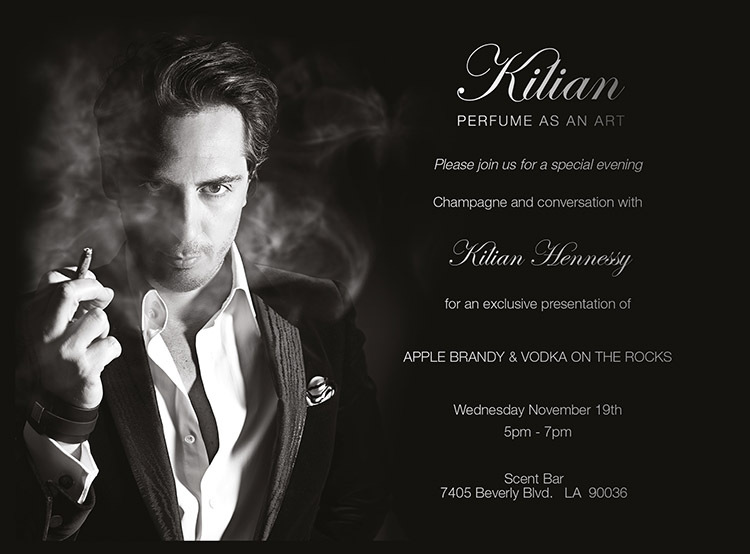 There will be an incredibly special guest at the Scent Bar: Killian Hennessy the founder of the by Killian line of fragrances and grandson of the founder of Hennessy Cognac. We will be treated to a meet and greet and he will gladly autograph your by Killian purchases too. More than anything though this is a fun get together where we can get to see you all in real life, have a laugh and smell some beautiful scents together. Can’t wait to hang out again and Jin is thrilled to be able to spend some time with you all. It promises to be an excellent evening. Woo Hoo! Very freaking excited! 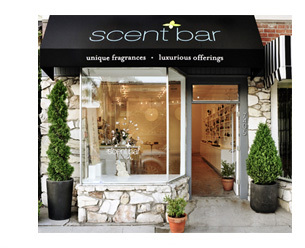 I’d like to second, “Wooooo!” I’m planning a trip to Scent Bar on the 19th and am so excited– I can’t wait. Is there a secret handshake? Should Posse readers carry a red rose or something? I didn’t get to be there for the big bus trip last time, so I’m especially looking forward to this, my second chance. Plus, Kilian Hennessy– the mind reels! YAY! This time we will get to hang together. No secret handshake but maybe a secret sniff? OK, “Woooo” to the third! What an amazing event, and thanks to everyone who worked to pull it together. I would be there if i could, but I know that all of you who do get to go will be in for a fabulous time! One day! One day we will meet.